In the first postwar years labours focused all efforts on restoration of the native ship repair yard. The renovation of production and office facilities was finished by 1946. 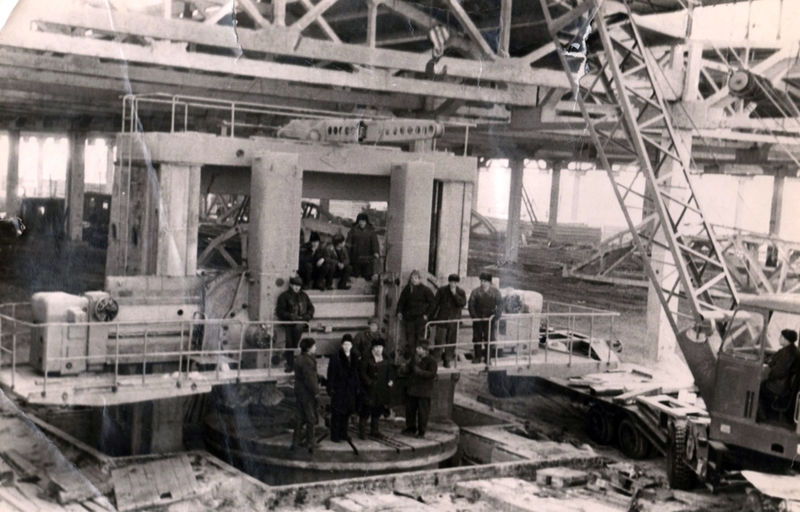 The building of new workshops was carrying out simultaneously with modernization of ship repair facilities. The feed lifting crane building and the slipway construction finished in 1950 made it possible to lift on shore heavy tonnage vessels for repair. As a result the cost of vessel lifting on slipway dropped from 40% of complete repair cost to 2%. In 1944 Schliesselburg was renamed Petrokrepost. From 1947 the labours started to reconstruct housing (till that time the townspeople were living in dugout), multifamily housings were actively built on Kirova, Zatonnaya and Proletarskaya streets, trade was developed, and cinema and transport resumed its work (townspeople got to Leningrad by ferry across the river Neva and then by railway Nevskaya Dubrobka – Finlyandsky station).